A Hilarious, Feel-Good Hit Musical. 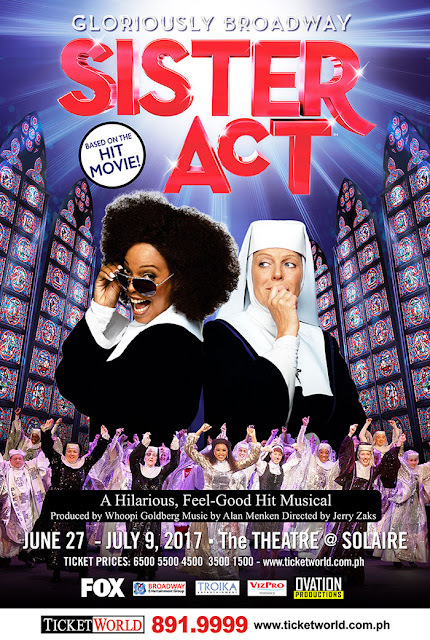 Coming direct from Broadway, SISTER ACT is the feel-amazing musical comedy smash that the New York Post calls "RIDICULOUSLY FUN,” and audiences are jumping to their feet in total agreement! Featuring original music by Tony® and 8-time Oscar® winner ALAN MENKEN (Newsies, Beauty and the Beast, Little Shop of Horrors), SISTER ACT tells the hilarious story of Deloris Van Cartier, a wannabe diva whose life takes a surprising turn when she witnesses a crime and the cops hide her in the last place anyone would think to look—a convent! Under the suspicious watch of Mother Superior, Deloris helps her fellow sisters find their voices as she unexpectedly rediscovers her own. A sparkling tribute to the universal power of friendship, SISTER ACT is reason to REJOICE!